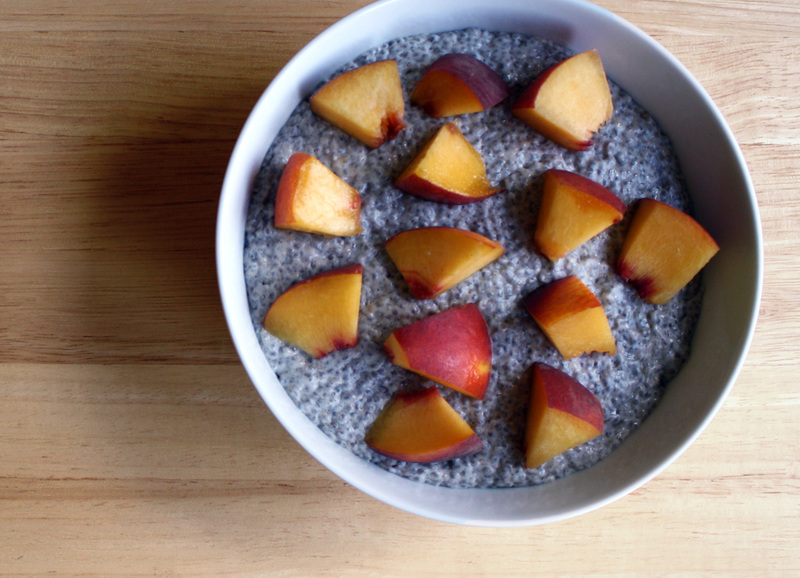 This fresh, filling, and delicious chia seed pudding is unlike most breakfast recipes in that you prepare it the night before, and it only takes 5 minutes to make. It’s also rich in beneficial nutrients. Coconut milk is high in medium-chain triglycerides (MCT), fatty acids which counterintuitively boost our metabolism. It also has a very creamy texture. Chia seeds – often touted as superfoods – are packed with fiber, protein, and omega-3’s, in addition to containing magnesium, calcium, iron, and zinc. 1 can unsweetened coconut milk, full fat or light. I usually go for the classic, full fat kind. Mix all ingredients except the fruit / berries together in a large bowl or sauce pan. Make sure the ingredients are thoroughly interspersed – you may want to whisk them together until smooth. Cover with tin foil and refrigerate overnight. In the morning, transfer the pudding to a bowl that’s at room temperature. Top with cut-up fresh fruit or berries. Note: if you plan on having it as a snack instead of breakfast, refrigerating the mixture for just a few hours will be enough time for the chia seeds to soften. 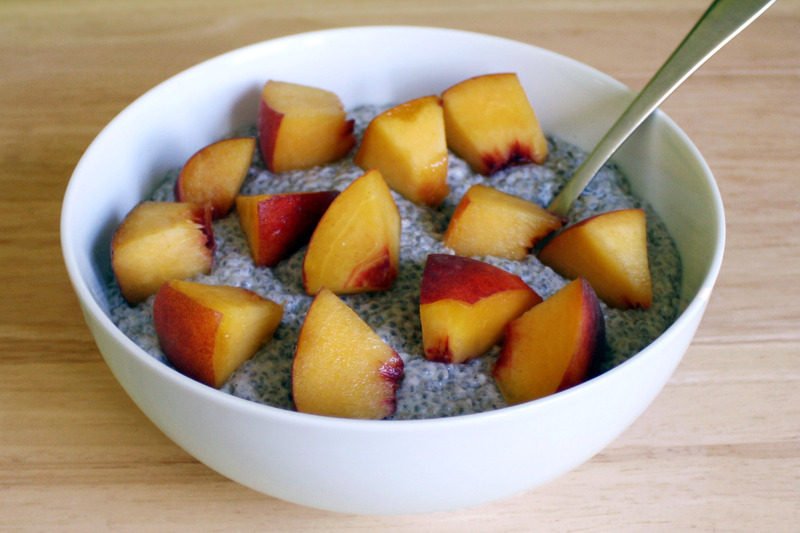 Easy coconut chia seed pudding. Vegan and gluten-free! Prepare the night before and have a delicious breakfast that’s ready to go. Mix all ingredients except the fruit / berries together in a bowl or sauce pan. In the morning, transfer the pudding to a bowl that's at room temperature.